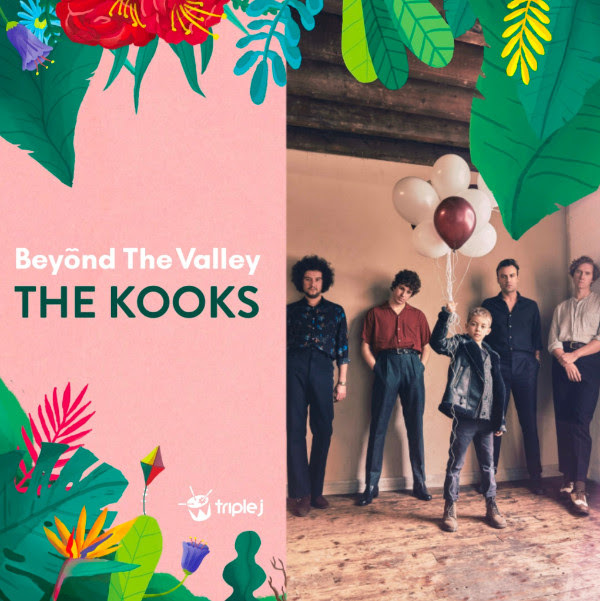 Beyond The Valley Returns For 5th Anniversary With The Kooks! Beyond The Valley is getting set for a huge return in 2018 as it celebrates its 5th Anniversary and its greatest NYE celebration to date. The first taste of the forthcoming line-up announcement is UK band The Kooks! The four piece has enjoyed a steady ascent since their now five-times platinum unstoppable 2006 debut ‘Inside In/Inside Out’. A new wave of young fans has seen them since amass over one billion streams and head out on a number of sold out world tours. 2018 has already seen them tour the world on their way down to Australia in support of their new album ‘Let’s Go Sunshine’. The Kooks latest album, Let’s Go Sunshine is being touted as their best – a record unbound by genre, merging indie rock, dream pop, epic glam and more, aiming for adventure rather than appeasement. Armed with what is sure to be the guitar album of 2018 and a back catalogue of pure indie gold, The Kooks will take BTV into the stratosphere. Taking place from the 28th of December 2018, through to the very early hours of January 1st 2019, Beyond The Valley happens amongst the green and majestic rolling hills of its permanent home at Lardner Park, Lardner – just 90 mins drive outside Melbourne. Beyond The Valley is the essential annual destination for lovers of the most contemporary sounds on the planet, and a must for those who love to see in the new year by indulging in the high-end glamping experience that the BTV team have finely-tuned over the past 5 years. Keep an eye out for full line-up details and more info coming soon! Thelma Plum New Video & Aussie Tour!